← June: What a month! Feds: Let’s add four left-turn signals to this to clarify things. I don’t necessarily buy it, but the Federal Highway Administration says it’s going to take the guesswork out of making a left turn. It has adopted the flashing yellow arrow as a national standard for permissive left-turns. The Iowa Department of Transportation says several such signals have already been installed in the state. 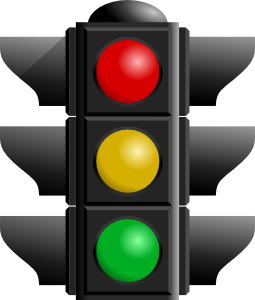 Others will be installed by the Iowa DOT and local governments as they upgrade their traffic signals or make improvements at intersections. 1) Steady red arrow: Drivers turning left must stop and wait. 2) Steady yellow arrow: The left-turn signal is about to turn red. Do not enter the intersection if you can stop safely. If you’re already in the intersection, complete your left turn. 3) The new flashing yellow arrow: Yield to oncoming traffic and pedestrians; then turn left, proceeding with caution because oncoming traffic has a green light. 4) A steady green arrow: Drivers can proceed with their left turn. Oncoming traffic must stop. Do not go straight. Have you got that all memorized? Me neither. The experts say the flashing yellow left-turn arrow will help prevent crashes, reduce traffic delays and provide more traffic management flexibility. But take it from an old dog who doesn’t easily learn new tricks — the flashing yellow arrow just might cause more confusion and more crashes at intersections. My advice? Either go very slow or turn right. I appreciate company names that, while unusual or creative, still somewhat define what the business does. I recently ran across an Orion flower shop called Enchanted Florist. Here’s another one: Leash on Life is the name of an Iowa City pet supply store. Copyright 2012 by Phil Roberts, Creative Enterprises. Submitted to North Scott Press as a column.